A B2C Online Travel Agent (OTA) business depends on being able to provide end customers with the widest possible choice of product, destinations and extras, all incorporated into a complete full technological solution, which would remarkably reduce time to market . Besides connectivity with global suppliers of travel inventory with own negotiated contracts such as GDS and consolidators for flights (Amadeus, Galileo, Worldspan and Mystifly), hotels (like GTA, HotelBeds, Miki, Travco, Tourico, Hotelspro, etc), car rentals and more, the online travel agency software solution must return results quickly, offer maximum flexibility and be extremely secure. In order to survive in the highest competitive travel field it is very important for modern OTAs to promote their services effectively to the right target customers taking the advantage of selling travel content to a global clientele beyond the working hours of a classic agency. It has never been easier and faster to set up a B2C OTA website. 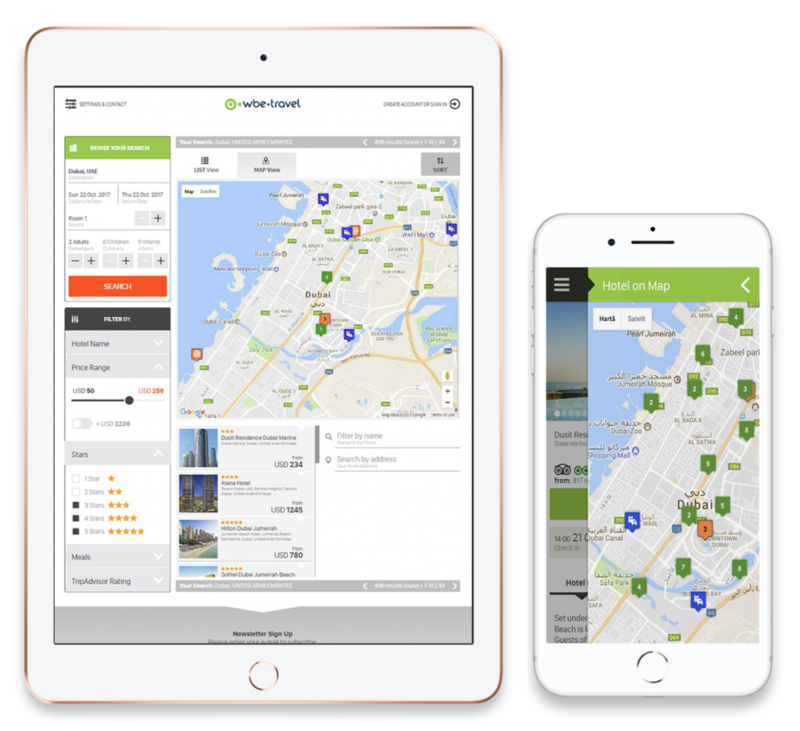 Our flexible system allows travel agents to quickly set-up a new, fully branded online booking engine with connections to hotels, flights and dynamic packages of hotels and flights inventory in desired locations worldwide. OTAs are able to design their own tailored company’s look and fell in order to differentiate from competitors and also to manage and promote their travel products in order to engage travelers based on search and booking history. More than this, by using wbe.travel’s system OTAs have the possibility to activate on different markets and sell specific content by setting-up multiple domains with different branding that are connected to the same booking engine.